The Court of Appeal is the court immediately below the Supreme Court. This is because in the hierarchy of courts, appeals go directly from it to the Supreme Court. This court is divided into numerous divisions, however, they are all still seen as one court. When decisions of this court in the Ilorin division are being referred to, instead of calling it the “Court of Appeal Ilorin division” it would be called the “Court of Appeal”. The general jurisdiction of this court is to receive appeal of cases from the Federal High Court, High Court, Sharia Court of Appeal, Customary Court of Appeal, court martial or any other tribunal as specified by an act of the national assembly. Determine whether or not the President or vice President has been validly elected. The term of office of the President or vice President has ceased. The office of the President or vice President has become vacant. Justices of this court are appointed by the President on the recommendation of the national judicial council. Before a person can be qualified to hold the office of Justice of this court, such person must have been a legal practitioner for not less than 12 years. 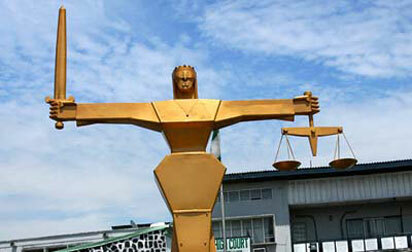 The head of the Court of Appeal is usually referred to as the President of the Court of Appeal. The constitution provides in S.238 (1) that before a person can become the President of the Court, he will be appointed by the President on the recommendation of the National Judicial Council. This is then subject to final confirmation by the Senate.